Christopher Byrne aka ‘Kit’ passed from MSA some time ago. 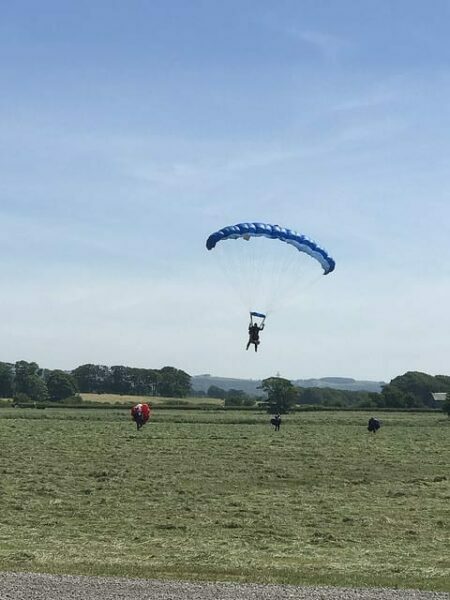 His son in law Brian Malone took the jump supported by Kits loving daughter Laura. They raised a phenomenal €1,034 for MSA and we couldn’t be prouder or more grateful for their incredible support. Joe Cannon is our dedicated community fundraiser who organises a wonderful MSA Charity Ball in memory of his mother Sharon. She passed away from MSA and 2018 sadly marks the 5 year anniversary of her passing. Joe wants to hold 5 fundraising events to coincide with the 5 year anniversary. 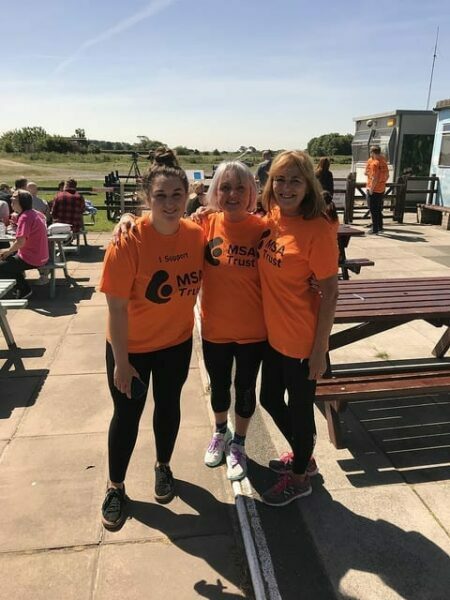 The MSA Charity Skydive at Black Knights Parachute Centre in Lancaster, was one of these events. 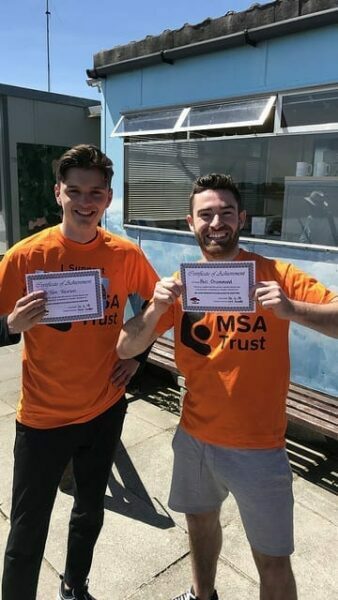 Not knowing how many Skydivers I would be able to sign up, the MSA Charity Skydive was a huge success! 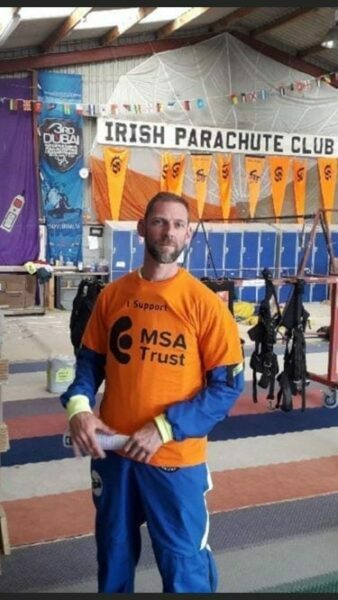 I recruited 15 Skydivers on the condition that the fundraising was exclusively for MSA Trust. This was quite tricky, as naturally a lot of people have their own causes & charities. However the day came, and we couldn’t have asked for better weather! Clear blue skies and not a bit of wind! As expected most of the team where quite nervous when we arrived, but they did an amazing job! All signups jumped, nobody pulled out last minute and we raised close to £9,000! 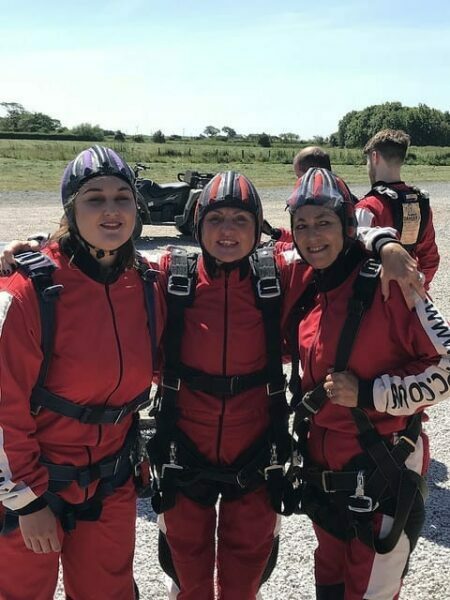 I’m so grateful to my team who took part in the Skydive. It wouldn’t have been possible without them! Thank you so much everyone, you absolutely smashed it! I will be forever grateful you helped me fundraise for a cause so close to my heart. 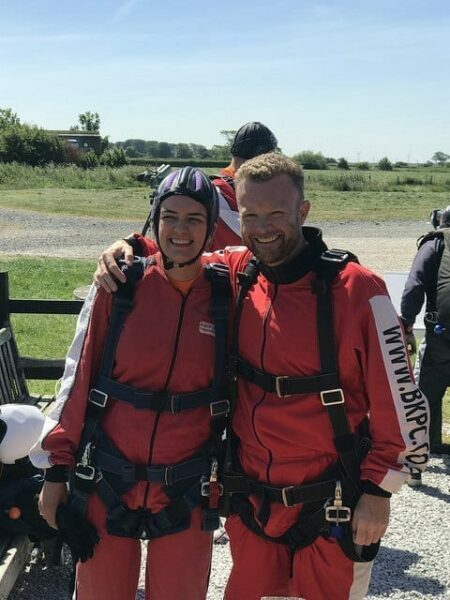 The day was a mixture of asking yourself why on earth you were jumping out of a plane, excitement and thinking about the reason for this.The effort from the whole team was unbelievable. 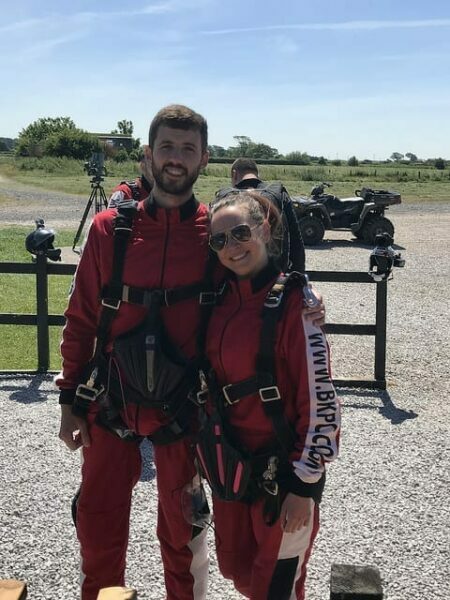 Putting yourself in a position of fear and nerves is nothing compared to the feeling of the impacts of MSA on the person, their families, friends and that is why this fundraiser was so powerful. 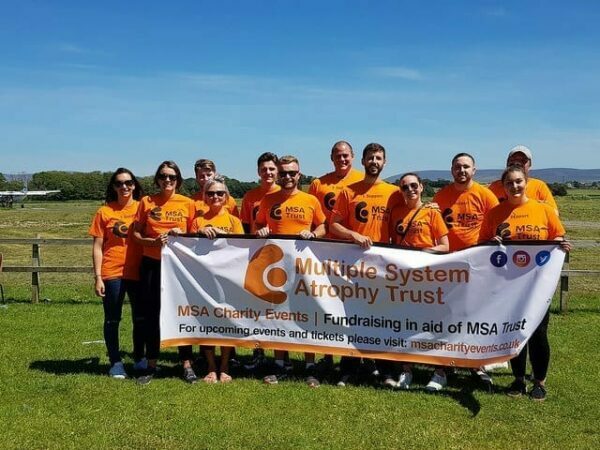 The whole day was a success – we joined together, we had a brilliant experience but most importantly we raised so much awareness and money for the MSA Trust. We really made a difference which is what we came to do. A BIG thank you to all the Superstars!